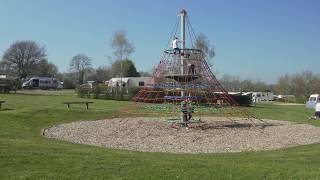 Monkton Wyld combines pitches for the independent camper and for members of The Camping and Caravanning Club. The park prides itself on its conservation efforts and the space and landscaping provided. 140 out of their 150 pitches feature 16A electricity (a few suitable for large R.V’s) and all back against a hedge or flower bed, so you never feel crowded. The site provides a summer camping field with 10A electricity if required and there are surfaced pitches especially for tents. There is also a range of self-catering accommodation available, including a large farmhouse and a bungalow; a number of privately owned holiday homes have a separate area. This family run park has matured into an attractive, comfortable, garden-like park with trees and flowering shrubs and is maintained to a high standard. There is a comprehensive tourist information centre and a shop to provide most basic daily needs. Local meat, bread and wine are available. Two grass playgrounds provide a range of children’s activities with plenty of space for ball games. Plenty of walking opportunities are possible within the 80 acres of adjoining Forestry Commission woodland just across the lane. As the site is a developing woodland conservation area, you will also find bird nesting boxes and a wildflower and orchid conservation meadow in the centre of the park. 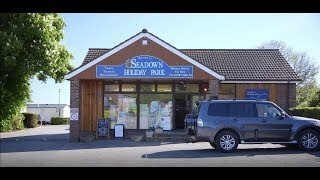 They are also the proud owners of the 'Loo of the Year award 2018 Platinum', winner of a 'Dorset Tourism Award' and have also retained another year as 'Excellent' on Trip Advisor. Two heated shower blocks are fully equipped. Family room with baby changing facilities. Dedicated disabled facilities Laundry area. Gas supplies. Shop (Easter-end Oct). On site food van 4 nights a week with a variety of menus. Takeaway (May-Aug). Play areas. Additional dog walking paddock new for 2018. Caravan storage. Easy to use motorhome disposal point. Gate locked at 23.00. 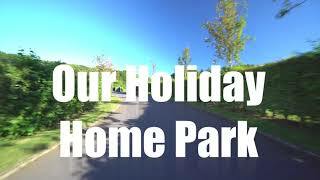 Caravan holiday homes for private purchase and other self-catering accommodation available. 100mg dedicated broadband provides site WiFi (charged). 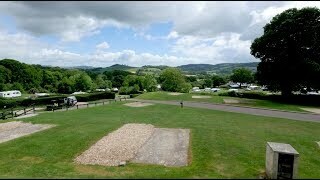 Park is signed on A35 between Charmouth and Axminster, 2.5 miles west of Charmouth. Turn right at Greenway Head (B3165 signed Marshwood) and park is on the left. Do not go to Monkton Wyld hamlet as the road is very steep.